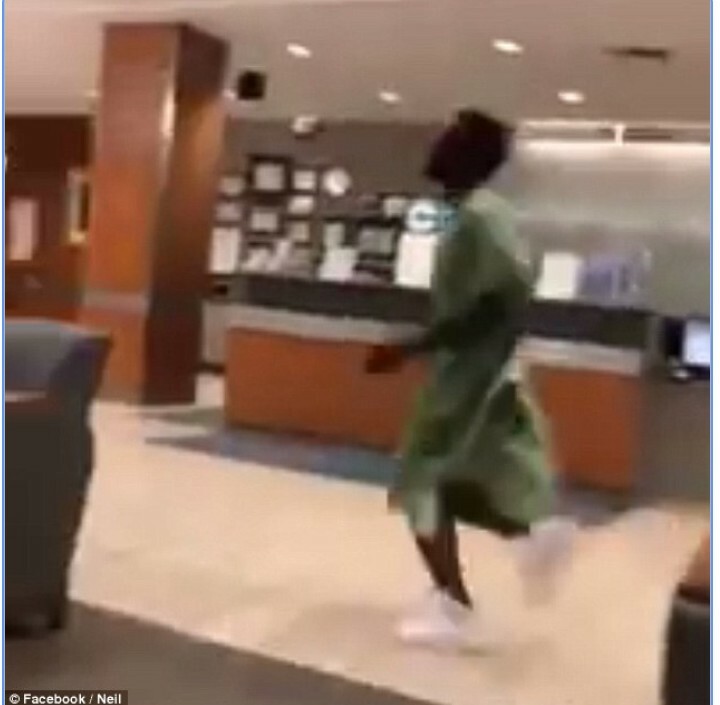 What could be in his phone that made this man jump from hospital bed to get the phone from his girl friend. Anyways, people enjoy their privacy and will do just about anything to keep it secure. 'Y'all, see a girl go through here? said the unlucky man as he runs to the parking lot in a hospital gown. the cameraman narrates as he quickly follows the man outside. 'Where the fu*k she at bro? the man screams as he searches for the woman's car. the woman can be heard shouting back as she starts the engine for her car. 'Why you going through my phone,' the irate man asks trying to get his mobile device back from the scornful woman. As the man continues demanding his phone back, the woman in the car starts her vehicle and begins moving. 'Bit*h, don't hit me, the cameraman asserts as the woman drives off. But he didn't give up, demanding his phone and jumping on the trunk of the car as the woman speeds down the road. It is unknown what came of the man and whether or not he was able to get his phone.